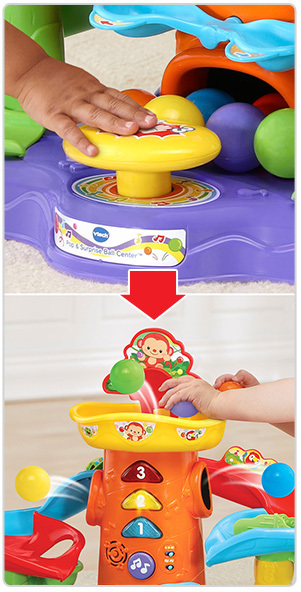 Drop, Pop and Have a Ball! balls pop, spin and roll. 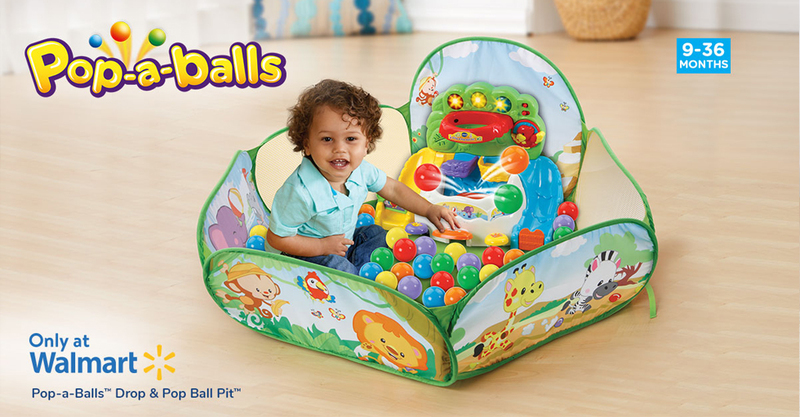 Have a ball with the Pop & Surprise Ball Center™! 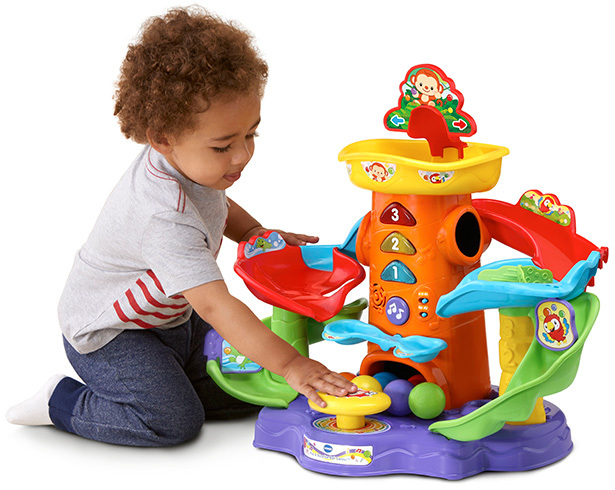 Playful songs, colorful balls and cheerful animals make playtime fun. 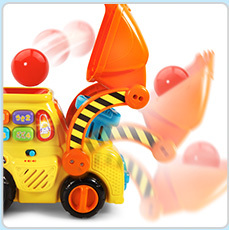 Press the big yellow button in the center to send the balls to the top of the tower. Then, watch as they pop out. 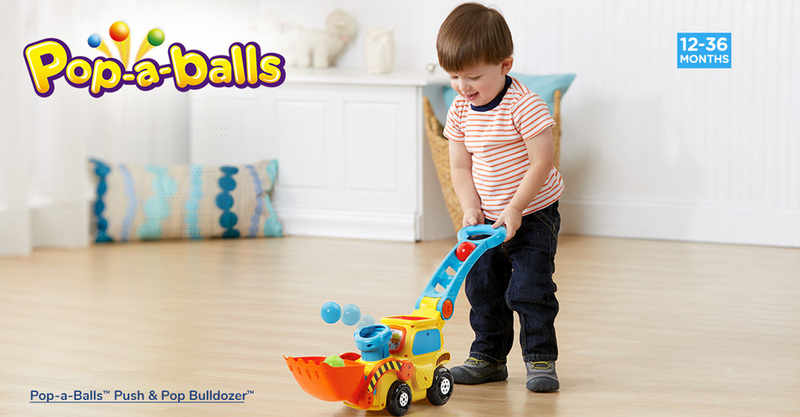 Load up the bulldozer with colorful balls and push it around the construction site. 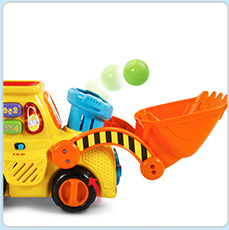 As it’s pushed along, the balls will pop out of the smoke stack and into the scoop bucket. 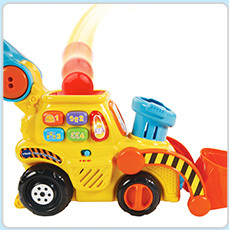 Keep pushing, and the bucket will dump the balls back into the bulldozer. 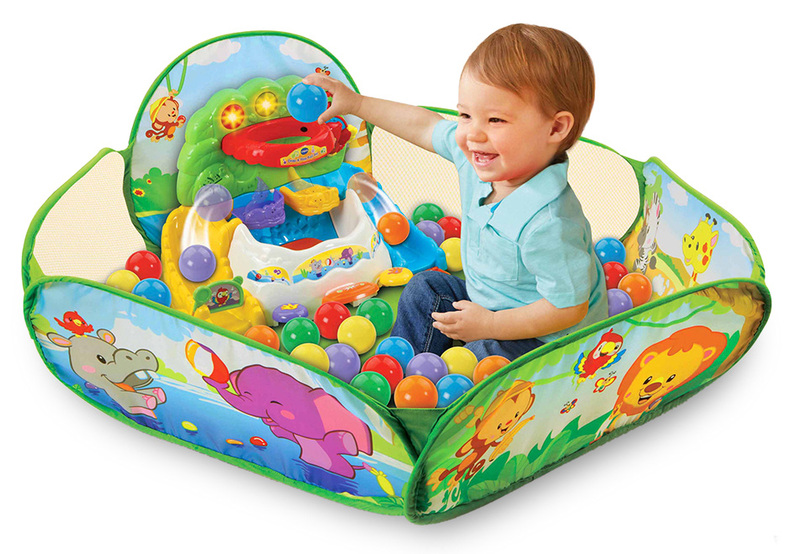 Climb in and play with 30 bright, multi-colored balls! 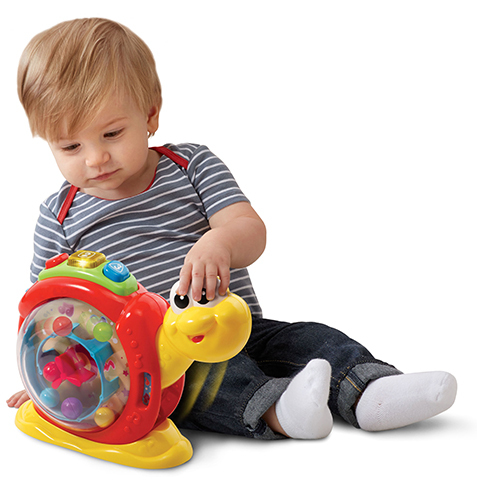 Packed with slam-dunk features like a hoop that counts to ten and an electronic activity panel, this wild ball pit introduces numbers and animals while developing motor skills. 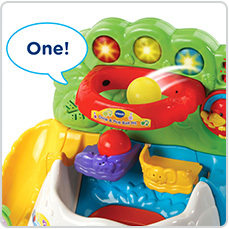 Hoop counts the balls up to ten and colorful buttons play phrases, sounds and music. 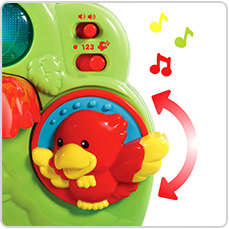 Twist the adorable red bird to hear fun sounds and music. 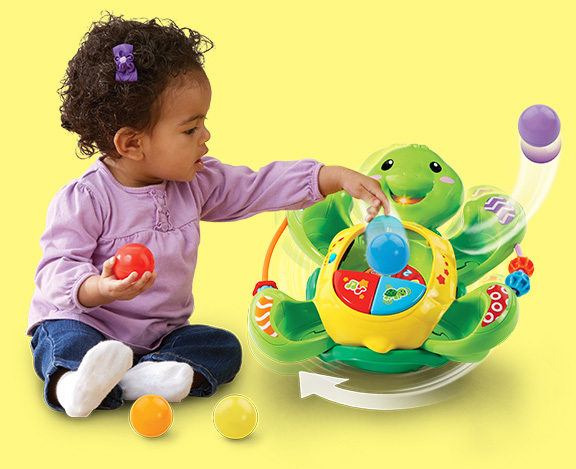 Drop the colorful balls into the turtle’s tummy. 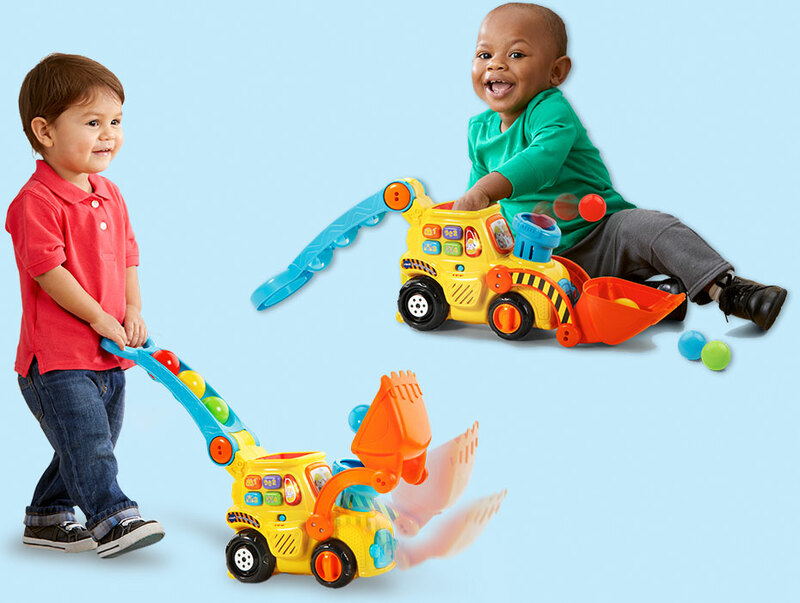 In Pop & Drop mode, he’ll pop the balls out of his legs and back into his tummy. 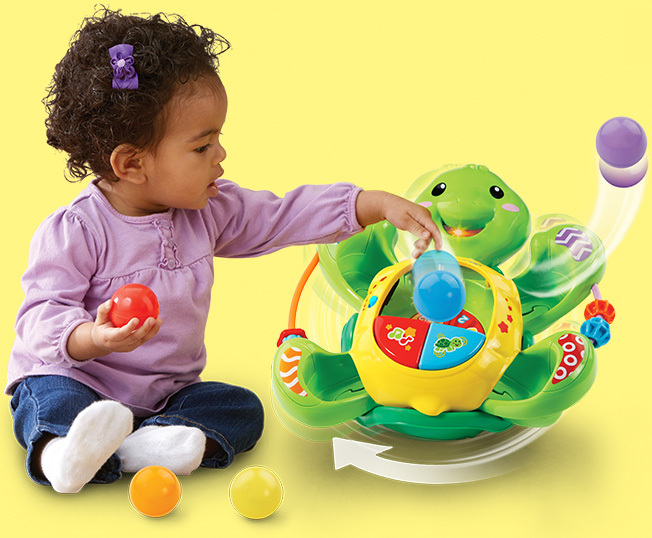 In Spin & Sing mode, while the turtle is spinning, drop the balls into his tummy, and he’ll pop them out for kids to chase. 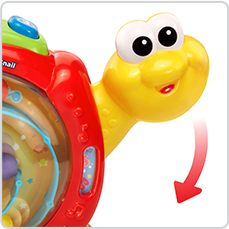 Press the adorable snail’s head down and the inside of his shell will spin the balls into motion. 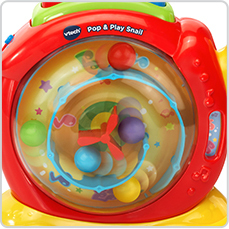 Little ones will love watching the colorful balls pop, spin and dance inside the shell. 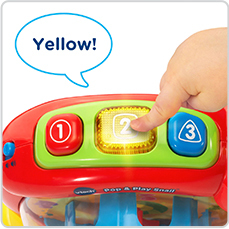 Three light-up buttons introduce colors, numbers, and shapes.